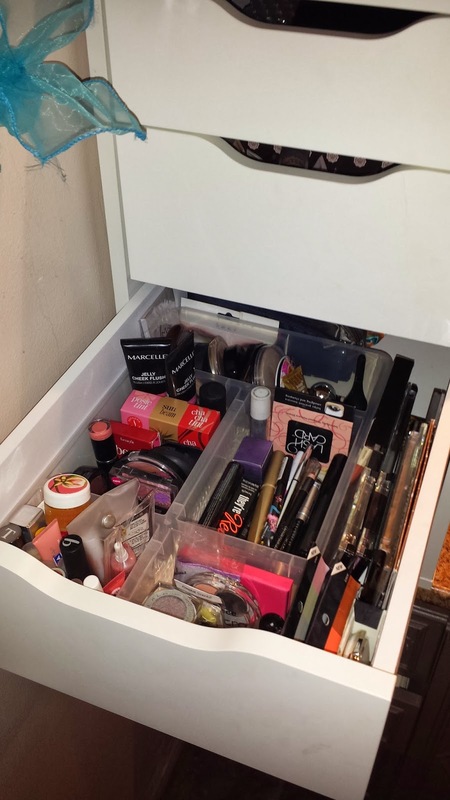 I love seeing how people store their makeup for function and decor and to learn more about the products they have, etc. so I thought I would share my set up. Here is my "main drawer". 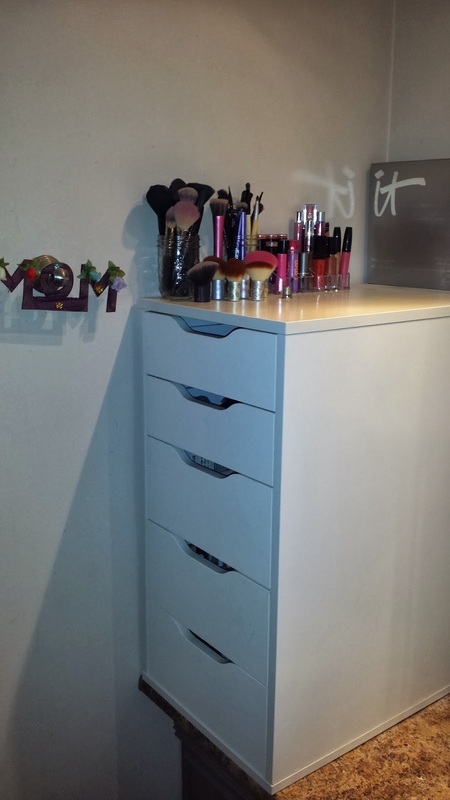 It contains: extra lip products, blushes, bronzers, high lighters, eyeliners, mascaras, eye shadows (singles and palettes). It does not contain: foundations, BB creams, concealers, primers and 2 palettes (Coastal Scents and NYX). 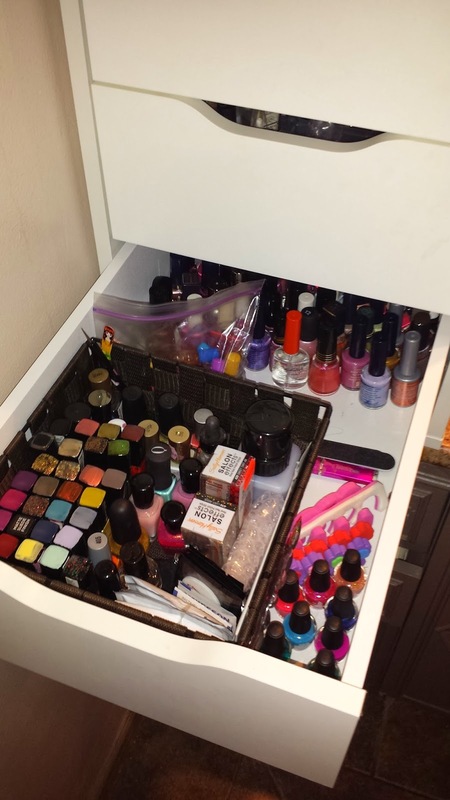 And in the bottom drawer I store my nail polishes. The basket with all the Juleps and a few other randoms are polishes that I purchased or received myself, the ones in the back are a batch of old ones my friend no longer wanted that I need to try to see if they're keepers and the ones on the right side and in the baggy are my daughter's mini ones. Voila! My makeup stash and storage! So far, I'm liking this set up. It's not the best display of products, but it's functional and everything is easily accessible so for that, it's A1. Do any of you have blog posts up showing your set up and can you link to them? Or just describe it in the comments! Lovely stash and storage! I'll get something like this once we've finally moved out to our new, more spacious location! Looks like a great storage option! MUCH more organized than I am!